Downtown Berkeley is an amazing place to visit whether you are here to catch a show, concert, or museum; dine on farm fresh and international cuisines; or visit UC Berkeley, -- and only 20 minutes by BART to Downtown San Francisco! 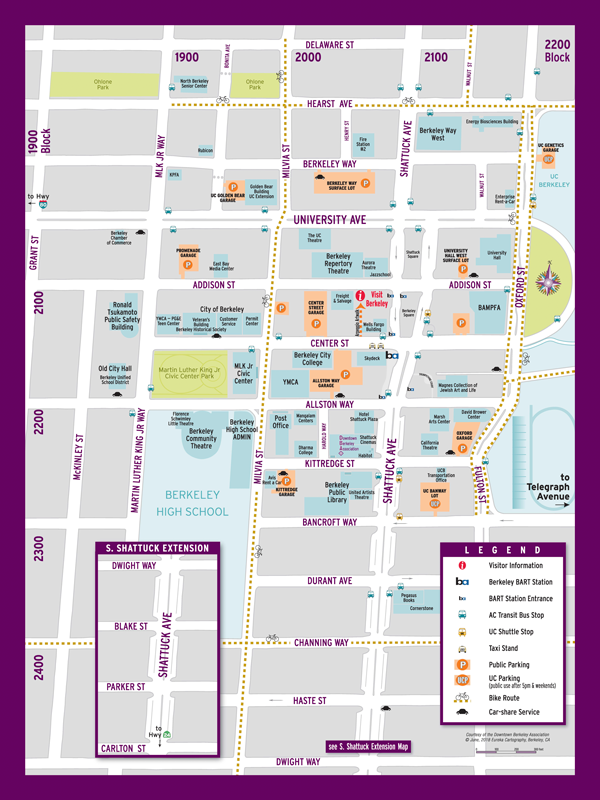 See Downtown Berkeley Map for view of Downtown, transit, parking and amenities. See Visit Berkeley Map for view of entire City and other commercial areas. See UC Berkeley Campus for view of campus and adjoining areas including the Downtown. 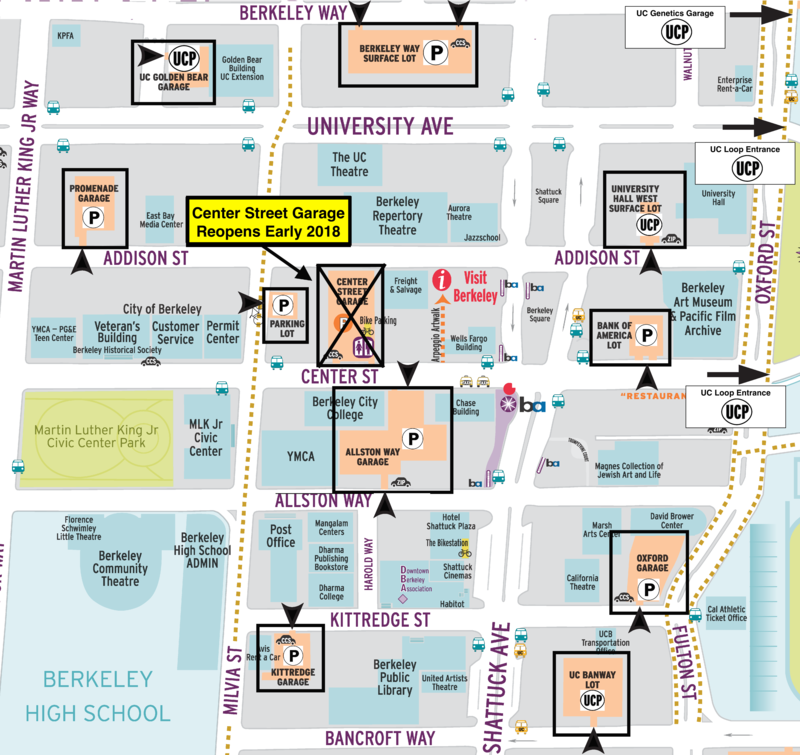 Downtown Berkeley is open for business with plenty of parking during reconstruction of the Center Street Garage. During construction, we have secured over 400 additional parking spaces in or near the Downtown, more than making up for the lost capacity. See our Parking Map and Directory of places to park in the Downtown or download the ParkMe app to find a place to park. For more information please see the City of Berkeley press release and DBA press release.